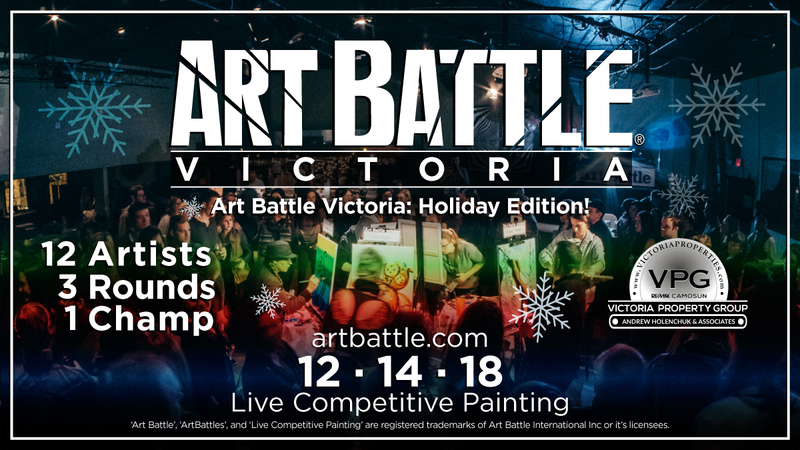 Join us for Art Battle Victoria: Holiday Edition! Grab your best pals and head out for an amazing night at The Victoria Event Centre; Candy Canes, Ugly Sweaters, & Live Art! This is the best night of the month for fun, creativity & community!